Send custom invoices via email. Create and send professional invoices to your customers, allowing them to pay quickly and safely, wherever they are. You don't need a website to receive payments. Fill out your customer's billing information and the payment details. We’ll email you when then payment has posted to your PayPal account. Save time with your custom templates and display your brand by adding your logo and business information. Review the outstanding payments, send reminders, and share invoices via PDF or direct link. 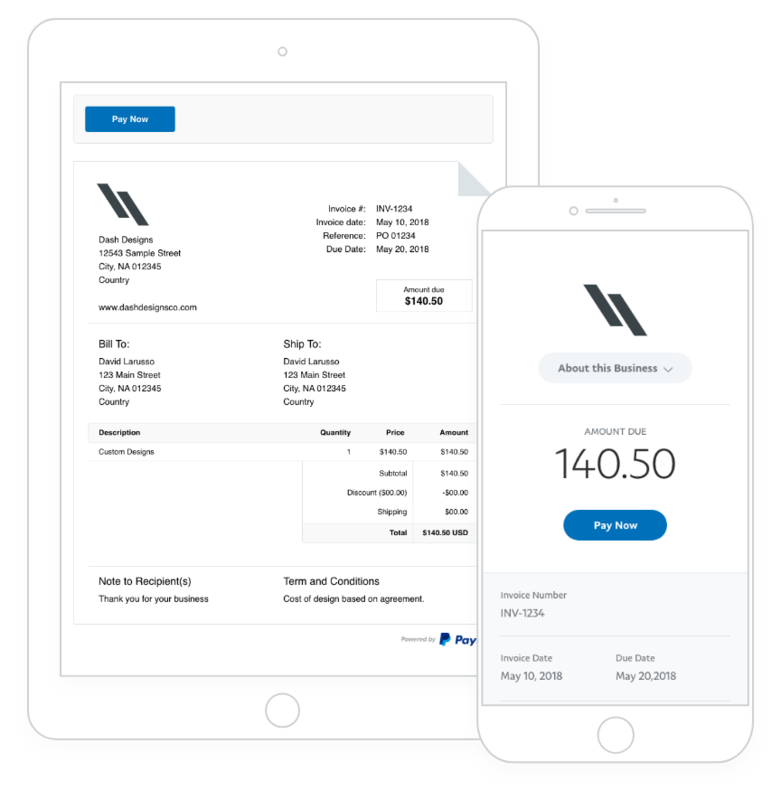 Your customers can pay the invoice in an instant with their credit card or their PayPal account. Create invoices to collect total or partial payments and invoice up to 100 people at a time. Discover how you can build invoices to meet your business's needs and help you grow. Let your international customers book rooms and pay with their credit card or PayPal account. With PayPal you can sell around the world and receive payments in an instant, without any set-up or monthly fee. You only pay a transaction and a currency conversion fee if applicable. The more you sell, the less fees you pay. PayPal makes it easy for you.